As you might have surmised, the above picture is NOT the machine embroidered item. 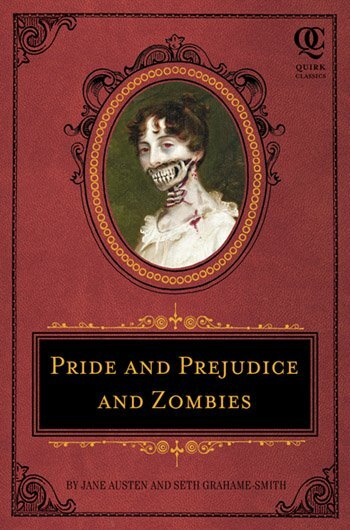 You might even be wondering what on EARTH do zombies and "Pride and Prejudice" have in common, much less as a joint venture. Well, my dear readers, apparently adding zombies to anything and everything is THE thing to do these days. I am obviously well behind the times. Author Seth Grahame-Smith was approached by his friend and editor about concocting a mash-up with Jane Austen's literary gem and zombies. It was an instant Light Bulb Moment (™) and a cult classic was born. Grahame-Smith obtained a digital copy of "Pride and Prejudice" and interwove his own zombie commentary into the original text. The first edition was a smashing success and prompted the "deluxe edition" with 30% more zombies. Wow. I was just delighted when it arrived. It is a hardcover with "leatherette" binding .. beautifully done and the cover art (as seen above) is simply hysterical. The inside illustrations are equally as amusing. But, I knew that once the book started being handled, that beautiful cover was going to get mucked up in some manner. A protective book cover was required! As all crafty people know, a book cover is simply a blank canvas ... patiently waiting to be adorned and embellished. 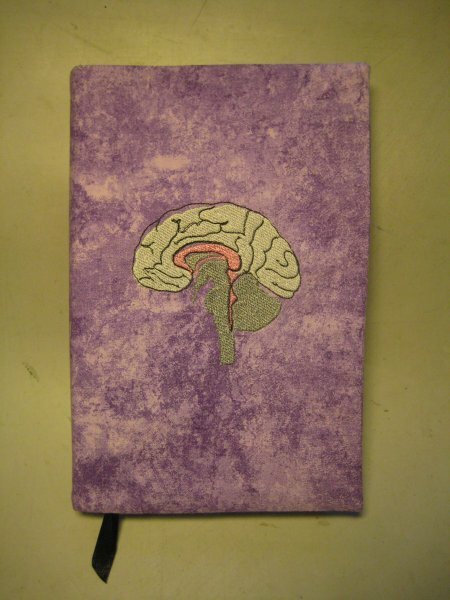 It just so happened that, at one time, I had actually downloaded a (freebie) design of .... a brain. How fortuitous! How inspirational! This design came from "Free embroidery designs", a Yahoo group. (I no longer belong to the group, so I don't know if the design still exists in their archives). 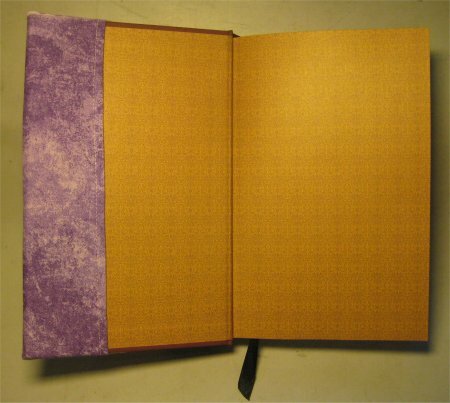 The book cover is lined and has flaps on each side to slip the front and back covers into.